The procedure of robotic assisted laparoscopic prostatectomy is now the leading method for the definitive treatment of prostate cancer. Keyhole surgery is used to carefully dissect structures such as the prostate, deep in the pelvis, with the advantages of 3D visualisation and magnification, a more secure join up of the bladder to the urethra after removal of the prostate, less blood loss, minimal post operative discomfort, and a shorter length of stay in hospital. There may or may not be an advantage in the recovery of bladder control and erectile dysfunction postoperatively. 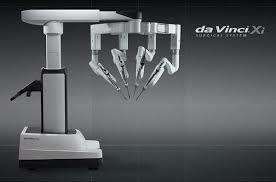 Dr Coombes currently carries out da Vinci robotic prostate surgery at the Mater Hospital. 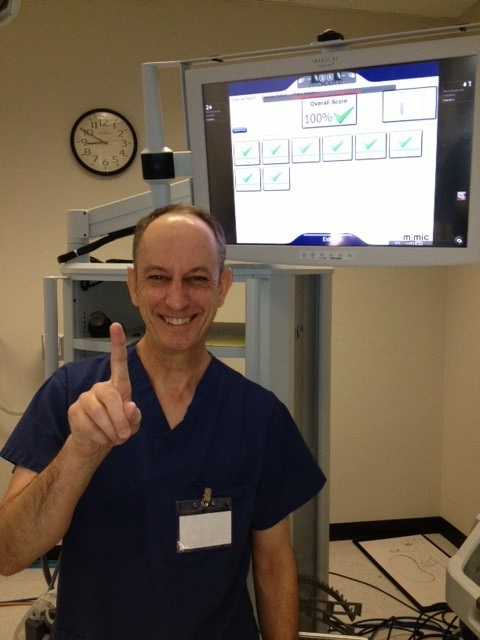 The latest da Vinci model Xi machine is installed at the Mater Sydney and Dr Coombes has used this latest technology, the first of its kind in NSW. 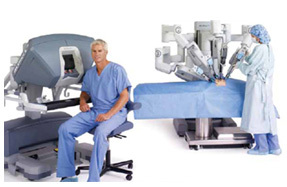 The surgeon operates from a da Vinci console in the operating room, and the robotic arms are attached to working instruments passed through 4 of 6 keyhole or laparoscopic "ports" (each of 8 mm ) in the patient's mid abdomen. 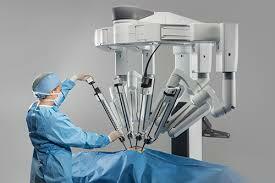 The operation can take around 2 - 3 hours depending on patient anatomy and technical factors. Conversion to an open operation is not at all usual, but is easily handled by this experienced surgeon. 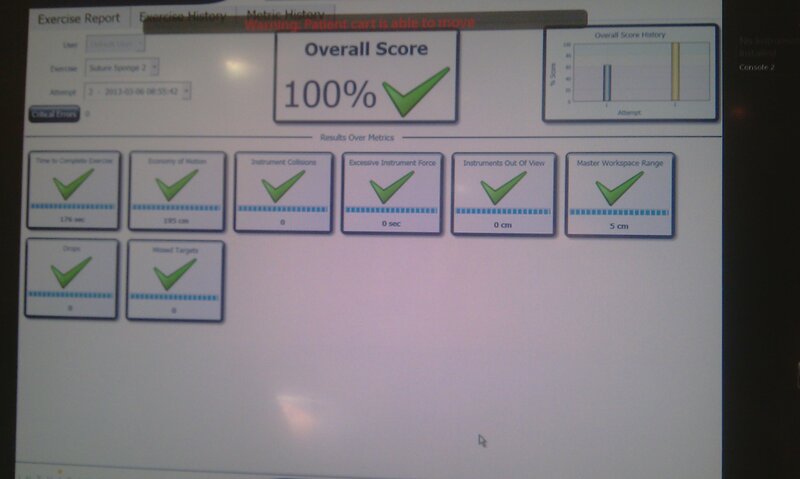 The patient is discharged home on day 2, but there is still a need for a urinary catheter to be in place post-operatively, for 7 – 8 days, which is then removed in the surgical consulting rooms. 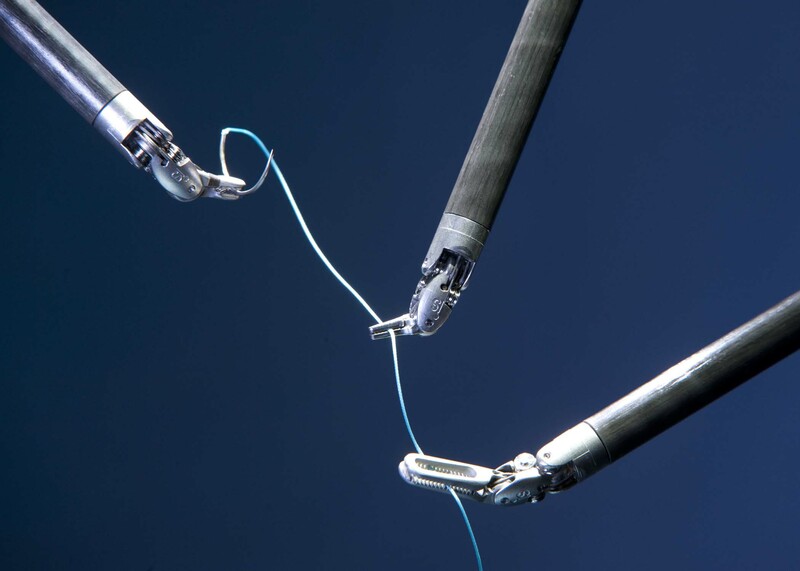 Watch the technology involved in the robotic DaVinci system.